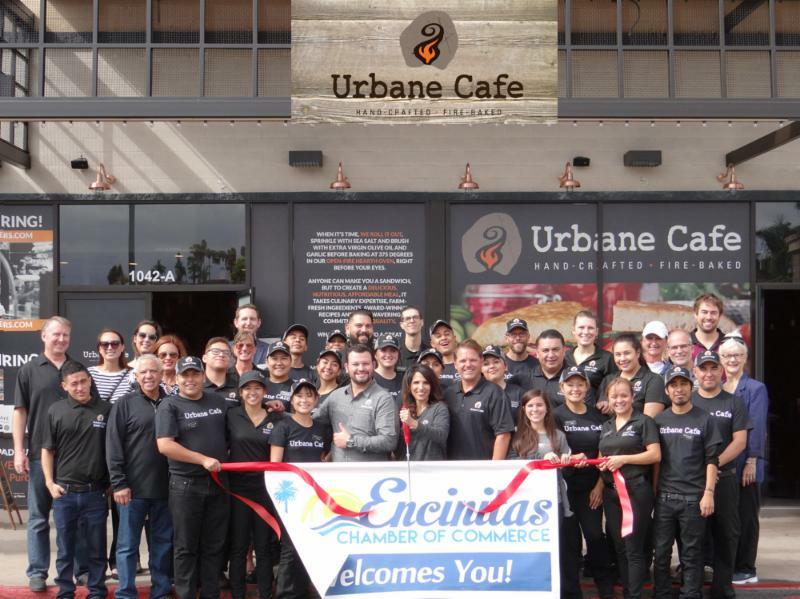 Urbane Cafe is excited to be opening its 13th family-owned cafe in the town of Encinitas. They craft a casual yet discerning menu with refined local ingredients and blend them into the tastiest dishes in a warm yet vibrant atmosphere. Every day they make their focaccia dough in their scratch kitchens, and they bake it fresh constantly in their open-hearth ovens right before your eyes. Lunch and dinner are their specialty where guests enjoy a healthy, delicious and affordable menu of delicious sandwiches and farm fresh salads. What they do, they do extremely well and all with a smile. They will spoil you with a hand-crafted sandwich or farm-fresh salad, craft sodas, and delicious, freshly-baked cookies! Go in hungry! Leave happy!